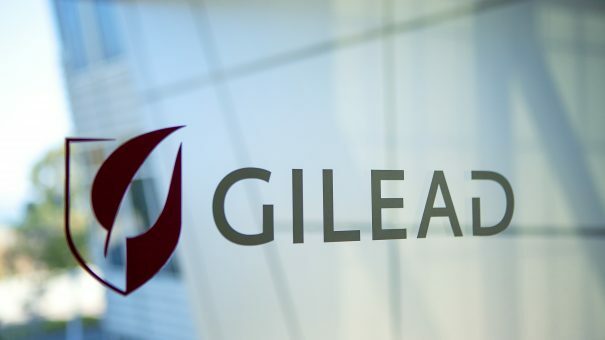 Gilead recorded a loss of $3.9 billion in Q4 because of a one-off charge linked to US tax reforms – however it has bigger problems because of the decline in its hepatitis C portfolio. The most high-profile development for the firm in recent months was of course its acquisition of Kite Pharma, and the US launch of its CAR-T treatment Yescarta in October. However while this groundbreaking drug is expected to be a multi-billion dollar blockbuster, it was always expected to get off to a slow start, and recorded just $7 million in Q4. The company’s management never believed that Yescarta could help it plug the gap creating by is shrinking Hep C sales, which means it must still find a way of boosting revenues. Full year sales for the company fell 20% to $25.7 billion, and the company forecasts sales will continue their fall to between $20,000 and $21,000 in 2018. The $5.5 billion charge related to the new US tax legislation was a shock to the system in Q4, but Gilead’s hepatitis drugs, including Sovaldi and Harvoni, saw sales shrink rapidly in 2017. Total Hep C sales for 2017 were $9.1 billion versus $14.8 billion in 2016 – a decline of around 40%. This decline was seen across all major markets, as the number of patients being diagnosed and treated has now fallen sharply away since hitting a peak in 2015. There was more positive news from its HIV and hepatitis B franchises, where full year sales rose 10% to $14.2 billion. This was thanks to growth in its next generation HIV products, Genvoya, Descovy and Odefsey. It is now forecasting a growth of $1.2 billion – $1.5 billion this year in HIV revenues. In terms of pipeline prospects, it has a number of promising late-stage molecules. The company has two ongoing phase 3 trials in liver disease NASH, which is expected to be another blockbuster therapy area. The first pivotal data on its ASK1 inhibitor drug selonsertib will be ready by 2019, and if positive, will form the basis for Gilead’s regulatory filings. Another promising late-stage candidate is filgotinib, which is being studied in rheumatoid arthritis, ulcerative colitis and Crohn’s disease. CEO John Milligan says the level of disruption and decline in the hep C market is set to bottom out, with prices stabilising as fewer new rival products are launched. The company hopes that once this hep C decline stabilises it can then focus on growth driven by its HIV franchise, short-term and long-term growth from Yescarta, selonsertib and filgotinib. Yescarta became the first cell therapy approved for adult patients with relapsed or refractory diffuse large B-cell lymphoma (DLBCL) in October. While Novartis was first to get Kymriah, its CAR-T, approved in August, Yescarta is in pole position because it has access to the larger market from launch. Novartis’ drug is approved in children and young adults with B-cell ALL, but is pursuing a DLBCL indication to rival Yescarta. However Gilead says it will make its headstart count. 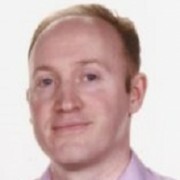 Milligan commented: “We have 28 [CAR-T treatment] centres currently that are up and now certified to prescribe Yescarta. We hope to have about 80% of the population by the midpoint in this year. Milligan says Gilead is looking at ways to optimise and expand its CAR-T presence, by looking at new targets, and by considering switching to ‘off the shelf’ allogeneic drug production. Gilead has also acquired Cell Design Labs (CDL) a specialist firm which it will use to develop next generation cell therapies. One of the greatest challenges is in overcoming obstacles to making CAR-Ts work against solid tumours. R&D chief Norbert W. Bischofberger said allogeneic drug production requires a gene editing technology, so Gilead is looking at how to acquire this expertise. Bischofberger says he is excited about CDL’s synNotch technology, which will be able to broaden CAR-T’s therapeutic range. In addition to this long-term plan, Milligan indicated that Gilead could well make another major M&A move.